The most-collected species in Hawaii, Yellow Tang is an iconic species whose harvests have been carefully monitored for years by the Hawaii Department of Aquatic Resources. Image: Hawaii DAR. These are, in fact, demonstrably “Fake Facts” or based on what most biologists say is pseudoscience and fabricated numbers. A recently exposed chain of letters reveals how respected marine biologists are thinking about this historic situation. CORAL Magazine has received copies of the relevant correspondence and is publishing it here in a chronological fashion for all interested aquarists and other observers to read first-hand. We have highlighted, in boldface type, several key portions Dr. Carlson’s letter. Last year, with the help of thousands of Turtle Island Restoration Network supporters, we urged Hawaiian state legislators to support a bill that would have ended the unsustainable aquarium trade in reef fish. The aquarium trade snatches wild fish from coral reefs, puts them in plastic bags, and ships them off to be sold for private aquariums. As you can imagine, a staggering 99% of these animals die within a year and require replacement. Some activists have estimated that half a million fish are caught every month by this industry. Our coral reefs simply cannot handle this extraction – the fish need to stay on the reef where they belong! The bill made it through both houses and ended up on Governor David Ige’s desk, where, much to our disappointment, he vetoed it. Fortunately, a separate litigation track was underway by an allied organization. Last week, in response to a favorable court ruling, the Hawaii Department of Land and Natural Resources announced that no aquatic life may be taken for commercial aquarium purposes off West Hawaii until an environmental review is completed. 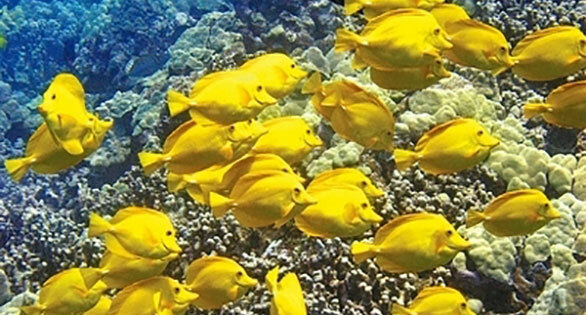 Stopping the aquarium trade will help protect Hawaii’s magnificent marine fish, including yellow tangs, Potter’s angelfish, blueline butterflyfish, moorish idols, and so many more. But as with any victory, we must stay vigilant, especially as the environmental review is conducted. Stay tuned for how you can help us watchdog the environmental review process to make sure that Hawaiian coral reefs are truly protected from this devastating industry. TIRN plainly states as fact that “a staggering 99% of these animals die within a year and require replacement” and that “activists have estimated that half a million fish are caught every month by this industry.” But is there any truth here? In reality, it has become apparent that the TIRN position statements against Hawaii’s aquarium fishery were likely never run by the actual scientists on their science advisory board. One of these listed science advisors, Dr. Robert Hueter, is the Shark Program Director for Mote Marine Lab in Sarasota, Florida. In a response to TIRN’s statement, Dr. Hueter calls TIRN’s allegations into question and reveals that in fact, he likely would not have supported the position taken by TIRN, had he ever been approached. In fact, his very role as a science advisor to TIRN is framed, quite clearly, as effectively non-existent, raising serious questions about the validity of TIRN’s science advisory board, and ultimately about the credibility of TIRN’s positions. 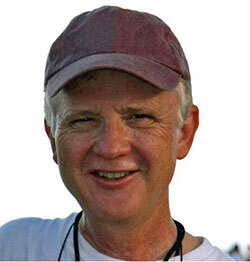 In Dr. Hueter’s response, he references the recent writings of his colleague, Dr. Bruce Carlson. It’s come to my attention that I’m listed as a Science Advisor for the Turtle Island Restoration Network. I think this is something that Alex invited me to be a few years ago, but I don’t believe I’ve heard anything from the group since. I see my name and photo on your website (https://seaturtles.org/about/leadership-staff/) with an out-of-date bio. I see that TIRN is now taking credit for legislation to stop the Hawaiian aquarium trade (below). This is not something I would’ve necessarily supported and, given the chance, would have discussed the sustainability of this trade with you. Please see the attached editorial on this issue by my respected friend and aquarium expert, Dr. Bruce Carlson. If TIRN is going to continue to operate like this, taking semi-scientific positions without consulting its own Science Advisors, then I wish for you to remove me from your list of advisors. Please let me know how this will be handled as soon as possible. 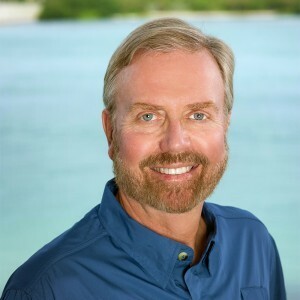 Dr. Bruce Carlson, a highly respected marine biologist (former science director of the Georgia Aquarium, former director of the Waikiki Aquarium), has been actively responding to the misinformation campaign intent on destroying Hawaii’s aquarium fishery. 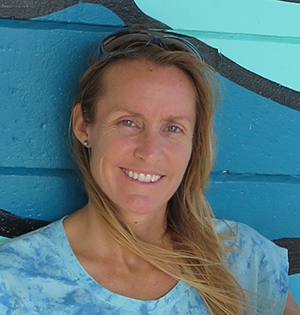 In this instance, he responds to TIRN’s statement, and the response of Dr. Hueter, in an open letter currently circulating among the aquarium fishery and marine biology communities concerned about the future of the aquarium fishery in Hawaii. Editor: Dr. Carlson’s open letter to Dr. Robert Hueter, in response to Dr. Hueter’s reaction to the TIRN statements. To: ROBERT E. HUETER, Ph.D.
You can now see how the misuse of science and scientists (you) has resulted in the present situation in Hawaii, where one of the best studied inshore (and most highly regulated) fisheries has been trashed by passionate and very misguided individuals. They are led here by a few master manipulators of disinformation spewing forth wild accusations based on anecdotal evidence. Of the scientists (those with Ph.D.’s, anyway) who speak up against the aquarium fishery in Hawaii, none of them present data-based evidence of harm to the fish populations or the environment, but rather only offer speculation based on untested hypotheses and anecdotal evidence, e.g., removal of the yellow tang, a herbivore, leads to rampant algal growth and coral mortality. I would like to see a peer-reviewed paper supporting this conclusion that harm has come to the reef environment in Hawaii as a result of the Aquarium fishery. Conversely, Brian Tissot and Leon Hallacher (2002 Cons. Biol. 17(6): 1759-1768) went out in the field and actually did the hard work to collect data and found no significant differences (algal cover, coral damage) in areas where fish are collected compared to protected areas nearby (DLNR has similar data). They DID report a “significant” difference in the populations of aquarium fishes in the two areas (no one disputes that there should be fewer fishes in areas where they are being collected). But to show you how scientific terms are corrupted by opponents, they equate “significant” with “damaging” (it’s reminiscent of the issue we have with the public misunderstanding the concept of “theory” used in a scientific context). The reason so few scientists here support opponents of the aquarium fishery is because of the solid data collected by Dr. William Walsh and his team in Kona over the past 19 years. These data show incontrovertibly that this fishery is the textbook definition of “sustainable” (in fact, in recent years, right up to the present, yellow tang and kole populations have been increasing in both fished and non-fished reefs on the Kona coast). Dr. Bill’s data set is widely admired and respected by scientists as some of the best data ever collected anywhere in the world on an inshore reef fishery. Bob, you aren’t the first scientist to unknowingly be name-dropped as an opponent to aquarium fishing in Hawaii. I recently spoke to another Hawaii scientist whose name appeared in testimony last year, and he was very surprised because he gave no such permission to use his name, nor did he agree with their position. To be fair, there are some scientists here who are “preservationists” who simply believe that the fish should be left in the ocean – period. That, however, is a philosophical argument, not a science-based one; but at least it’s honest. We argue equally that the jobs created by this fishery and the value of aquariums are also very important. And we have data on our side, so we know we aren’t compromising our conservation principles. Yup, they manufacture their own false data, then quote it back as fact. You and I are both conservation biologists and have taken strong stands for conservation over the years, but I’m sure you see, as I do, that some environmental groups use pseudoscience as their modus operandi, and we as scientists have to keep a great distance from such people. I’d lump these folks right in there with the climate change deniers: same methods, same exasperating anti-science rhetoric. This is the age of fake data and anti-science, and this is just another very sad case, from a group whose mission otherwise seems laudatory. It’s entirely possible that they too (TIRN) have been duped by the Hawaii activists and probably have not read the many research papers on this topic. If these people would put just a fraction of their misdirected energy in correcting real problems with our marine environment, following the lead of real scientists, we might actually make progress. Biologists here are MUCH more concerned about our food fishes being overfished, but you don’t hear a peep about that from these anti-aquarium activists. I hope that will change now that more reports from NOAA and University of Hawaii researchers are presenting data about these very real concerns. Unlike the leaders of the opposition, who are well-paid and funded by national organizations, and who fund-raise by inflaming public opinion (case-in-point: the attached TIRN document), I’m still trying to keep them at bay using my home computer on my own nickel because I hate to see good science being trashed, and because I know that aquariums can be valuable educational, inspirational, and research tools. You did the right thing, Bob. Everyone get the word out that this “fake science” cannot be tolerated. As a member of a reef aquarium education based club, a marine aquarium hobbyist, a certified scuba diver, a business owner, and a family man, this whole thing outrages me. If 1/10 the effort of these movements was put towards sustainability education, human waste management, and marine research we would be much better of. This is just silly. I have seen nearly a half million fish on any one reef on any one dive trip. Anything that gets humanity interested in the ocean and its health is a good thing at this point and by that I mean aquariums with live ocean fish in them. Sad to see any aquarium supply folks playing the “fake” Trump card, this is a failing tactic. Why are there not any fresh studies that show how reductions in herbivores are bad for coral reefs? Because it is a known fact, few funds available to prove the obvious. The data that would address the local issue here would cosist of a coral reef monotoring study that compares reef tracts with and without collection being allowed, NOT herbovore counts. This is all about the corals, in jeopardy all over the planet. Have you ever visted the SPAs in the FL Keys? You don’t even need to get wet to see the hook and liners, fishing boats clustered just outside the SPA boundaries, hoping to land one of the many large game fish to be found in those otherwise delpeted shallow waters. When a reef is degraded past a crical threshold, it undergoes a phase change to a less biodiverse system where the herbivores do pretty well for a time because the former coral colonies become algae-covered dead rocks. Don’t only count the fish, asses the ecosystem health, let’s let the swarming fishes fill the oceans to help reef recovery. Learn to give to the environment before you start taking, check the website. Tim, the data goes back almost 2 decades and shows that this fishery IS sustainable and that fish populations have increased. This policy change also does not affect fishing for food which takes far more fish off the reef than the aquarium trade. If we really want to help the coral reefs there are many many better places to make changes. Don’t waste energy shuttering an industry that actually WANTS to create a sustainable environment and go after the real source of the problem. Climate change, pollution, and in many places the food fishing industry. Focusing on the aquarium industry is like complaining about a hangnail while your arm is being chopped off. ‘It’s a known fact’ some evidence to back that up would be nice. You can’t claim a ‘known fact’ but say that there aren’t studies to prove it. I feel uncomfortable about collecting wild fish in large numbers, but legislation on environmental issues should *not* be put in place without scientific backing. Have been diving since 1966 and having witnessed so much ocean abuse with spear guns and slurp guns, and of course the horrific decline of the reefs I can relate why a ban on collection has been placed. Regarding the tropical collection of fish, I have seen divers with their slurp guns tear small creatures to pieces. These non pros catch just for the “sport” with most that die in transit. This is not acceptable. However, I am not including these type of sport enthusiasts with those who are true and caring collectors and those that are professionals. I totally agree with “tightening the laws” of capturing these small creatures. Isolating the true professionals would be hard. To protect those who are the real pros and those who are not would be difficult, however, I agree that a special collector’s license needs to be put in place that would include the passing of a course specializing in the ‘how to collect’ and what species are allowed. It should also include a sliding scale just lille sport fishing of how many and when these collections can take place. Reading James Kanouff’s message I do whole heartily agree we should be putting more towards sustainability education, human waste management, and other necessary energy approaches. I would like to know how long Mr. Kanouff has been diving. For those of us who have been diving over 50 years we have seen a lot to help educate those PhDs and educators with knowledge of the past and pre decline of our oceans reefs that once had multitudes of species of fish that were so healthy swimming in those healthy reefs, but now with many species that have disappeared having never been seen it is time to make a call that may be a decision to limit what we can do to try to save what is left. Most divers may say there are millions of fish on the reefs, yet without witnessing the decline of the species that is reason for misunderstanding. The cascade of events causing the decline is rapid without the knowledge of how to stop the destruction of all reefs world wide and yes including Hawaii. We must change our attitude to one of protection rather than one of collection and consumption and respect limitation of once was an open ocean to one of serious decline. The collection of fish can help with the overall health of the fishes in the reef by keeping populations at levels where animals aren’t starving because there’s not enough food and that’s especially for herbivores. What’s better 5 million skinny fish that are more likely to get parasites or 3 million healthy fish and a thriving reef. Responsible fishers protect the reef as that’s their lively hood and no one wins if the destroy it. I’m ok with limiting potters and moorish idols because of the fact they’re more delicate but yellow tangs thrive in aquariums as I’ve had my Sunny for over 17 years and he trusts me so much I can move him to a new tank in secs and he eats out my hand. Most of my fish are considered expert only fish and still I haven’t had a fish die in over 5 years and I have 6 leopard wrasses including 2 potters but I have over 20 years in the hobby. The collection of fish can help with the overall health of the fishes in the reef by keeping populations at levels where animals aren't starving because there's not enough food and that's especially for herbivores. What's better 5 million skinny fish that are more likely to get parasites or 3 million healthy fish and a thriving reef. Responsible fishers protect the reef as that's their lively hood and no one wins if the destroy it. I'm ok with limiting potters and moorish idols because of the fact they're more delicate but yellow tangs thrive in aquariums as I've had my Sunny for over 17 years and he trusts me so much I can move him to a new tank in secs and he eats out my hand. Most of my fish are considered expert only fish and still I haven't had a fish die in over 5 years and I have 6 leopard wrasses including 2 potters but I have over 20 years in the hobby. 'It's a known fact' some evidence to back that up would be nice. You can't claim a 'known fact' but say that there aren't studies to prove it. I feel uncomfortable about collecting wild fish in large numbers, but legislation on environmental issues should *not* be put in place without scientific backing. Have been diving since 1966 and having witnessed so much ocean abuse with spear guns and slurp guns, and of course the horrific decline of the reefs I can relate why a ban on collection has been placed. Regarding the tropical collection of fish, I have seen divers with their slurp guns tear small creatures to pieces. These non pros catch just for the "sport" with most that die in transit. This is not acceptable. However, I am not including these type of sport enthusiasts with those who are true and caring collectors and those that are professionals. I totally agree with "tightening the laws" of capturing these small creatures. Isolating the true professionals would be hard. To protect those who are the real pros and those who are not would be difficult, however, I agree that a special collector's license needs to be put in place that would include the passing of a course specializing in the 'how to collect' and what species are allowed. It should also include a sliding scale just lille sport fishing of how many and when these collections can take place. Reading James Kanouff's message I do whole heartily agree we should be putting more towards sustainability education, human waste management, and other necessary energy approaches. I can read there is anger and outrage with reducing the 'freedom of the catch', but on that note I would like to know how long Mr. Kanouff has been diving. For those of us who have been diving over 50 years we have seen a lot to help educate those PhDs and educators with knowledge of the past and pre decline of our oceans reefs that once had multitudes of species of fish that were so healthy swimming in those healthy reefs, but now with many species that have disappeared having never been seen it is time to make a call that may be a decision to limit what we can do to try to save what is left. Most divers may say there are millions of fish on the reefs, yet without witnessing the decline of the species that is reason for misunderstanding. The cascade of events causing the decline is rapid without the knowledge of how to stop the destruction of all reefs world wide and yes including Hawaii. We must change our attitude to one of protection rather than one of collection and consumption and respect limitation of once was an open ocean to one of serious decline. Tim, the data goes back almost 2 decades and shows that this fishery IS sustainable and that fish populations have increased. This policy change also does not affect fishing for food which takes far more fish off the reef than the aquarium trade. If we really want to help the coral reefs there are many many better places to make changes. Don't waste energy shuttering an industry that actually WANTS to create a sustainable environment and go after the real source of the problem. Climate change, pollution, and in many places the food fishing industry. Focusing on the aquarium industry is like complaining about a hangnail while your arm is being chopped off. Sad to see any aquarium supply folks playing the "fake" Trump card, this is a failing tactic. Why are there not any fresh studies that show how reductions in herbivores are bad for coral reefs? Because it is a known fact, few funds available to prove the obvious. The data that would address the local issue here would cosist of a coral reef monotoring study that compares reef tracts with and without collection being allowed, NOT herbovore counts. This is all about the corals, in jeopardy all over the planet. Have you ever visted the SPAs in the FL Keys? You don't even need to get wet to see the hook and liners, fishing boats clustered just outside the SPA boundaries, hoping to land one of the many large game fish to be found in those otherwise delpeted shallow waters. When a reef is degraded past a crical threshold, it undergoes a phase change to a less biodiverse system where the herbivores do pretty well for a time because the former coral colonies become algae-covered dead rocks. Don't only count the fish, asses the ecosystem health, let's let the swarming fishes fill the oceans to help reef recovery. Learn to give to the environment before you start taking, check the website.